Cook's Garden Favorite. 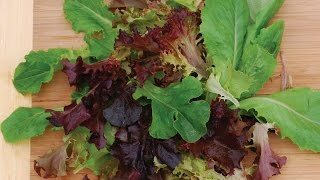 Buttery, tender red and green leaf lettuces together with peppery arugula, delicate endive, and firm, full-flavored radicchio make up a classic Mediterranean mix. 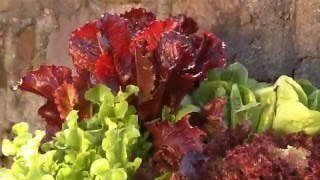 Lettuce, Alfresco Mix is rated 4.0 out of 5 by 2. Rated 5 out of 5 by SewMamaSew from Really easy to grow and very tasty I got these seeds at Menards and planted them when it was cool in the spring - the lettuce was really yummy and we did get 2 harvests ... sadly the third harvest went to the bunnies because it became bitter when the summer heat hit early. Planting again for a fall harvest!